How do you get so many Shluchim in one picture? It's only one Shliach! The world knows by now to expect from their Lubavitch friends to hear the impressive account of how many Shluchim there are worldwide. We speak about numbers a lot. It is a source of true pride. There really is only one Shliach. Being in Crown Heights for the Annual Shlichus Convention is a one of a kind experience, filled with much inspiration, energy, and deep realizations of what it means to be a Shliach, a messenger for the Rebbe, for the world. My eyes were wide this past Shabbos, as I tried to take in all the light from the figures that awake within me such intense pride. Shluchim are so dynamic, and they all hold somewhat of a celebrity status in my mind. I am sincerely amazed, and the pride is ever-present. But when I looked deeper into the common thread, the underlying foundation, of what really inspires me, I was forced to stop and reconsider the exact point of pride within. My observation led me to rethink a common notion of the Shlichus revolution. Are Chabad’s worldwide triumphs the result of many Shluchim? Do all the power, aliveness, and focus find its roots in the power of numbers? And not just impossible, but just the opposite. The Rebbe's greatness is not that he produced a multitude of emissaries. The strength of the Rebbe’s leadership is that he sparked and supported a team that held within a unique sort of oneness - the kind of oneness that is not impressed by numbers but instead driven by the underlying mission and message. 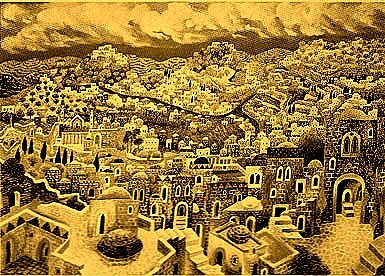 Sure, each Shliach has their unique description, the details of what a day looks like in their specific communities. But, really, the difference in needs, abilities, and direction - it’s all part of the multi-faceted personality of one Shliach. Because there is only one Shliach, there is no discord as to who the directives come from. Everyone has the same picture on the wall, the same hometown where their revolution was born. Because there is only one Shliach, everyone is happy to hear about a generous donation to any Chabad house. There is only one Shliach, so everyone feels the gain. Because there is only one Shliach, the emissary to Thailand addresses an audience of many, and everyone feels deep down that, “he is talking to me.” The words of one Shliach apply personally to every single person. Because there is only one Shliach, a Bachur says he can’t wait “to go on Shlichus” and not “to become a Shliach.” He’s joining something, not becoming someone. Because there is only one Shliach, hundreds of Shuchim’s children sit in a room with their arms around each other, and they are wise and capable beyond their years because they are truly one family. Because there is only one Shliach, a bachur hugs a Shliach he may not really know. He knows one, though. And if he knows one, he knows them all. Because there is only one Shliach, everyone is trying to do fulfill their purpose, instead of competing for the top. When you’re truly one, there’s no bottom and there’s no top. There’s no separation between Shluchim. Because there is only one Shliach, the Rebbe says, “Light up the world” and all of a sudden an ex-hippy Chabadnik and a man from a legacy of Chassidim are doing the same thing; sparking Jewish souls, reviving communities, and paving the way for redemption. Now that’s what I call true oneness. The only surprising thing about the numbers is that there can be so many and still the oneness pervades. This is possible only because of the Rebbe’s remarkable vision and guidance. Such oneness is a product of a people in tune with their leader, their father. So the next time someone starts to boast about the numbers, stop them in their tracks and tell them the truth. Say, “So many Shluchim. So what?” Show them that feeling the power in the unity is the truest and greatest source of pride. Tell them that there is one Shliach. Watch the smile on their face as it sinks in. I've been ignoring you lately. You've been that disturbing phone call that I just don't want to answer. You need me, and I can't even look your way. I want so badly to talk to you, but our story is too painful to face. And now, I feel listless at the mere mention of you name. All your newsflashes, e-mails and links swarm my screen and are left avoided, turned to spam. A part of me just feels numb to you. Last night, when I heard someone was going to take you, our situation, and possibly turn things to fresh inspiration, I jumped on the chance. So here I am in a quaint apartment in Manhattan, listening to a religious academic talk about your condition. He is a man with serious heart, real passion, and a strong voice. He is chopping down our assumptions, forcing us to take a new look, and awakening a real interest in the history of the chaos. He talked and talked about you. He knew all the facts. He dismantled the ideas of our enemy. He gave us the ugly picture, nothing but the truth, and made us gasp. And yet, he left me with nothing. 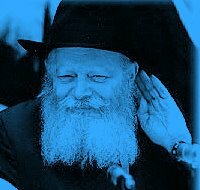 Israel, don’t you miss the Rebbe’s voice? It was the voice that only spoke of the urgent, the truth. It was the voice that couldn’t just sit and converse. It was the voice that championed your true cause, and never got sidetracked. It was the voice that wouldn’t put up with distractions. It was the voice that brought beauty and light, and didn’t give the ugly a chance to blink. So, now, Israel. I’m sitting here listening to this guy, and - even with all his genius, commitment, and sincere resolve – I am still aching for the Rebbe’s voice. Who’s refusing to waste time while you sit in between the fire? Where is the hand in America holding yours? Israel, without the Rebbe, where is your voice? Who’s getting to your soul? This was impacting, straight up truth – saying it like it is. It’s the one line that struck me from his hour and a half lecture. It was a moment of sincere truth and impatience with side issues. It was the voice of the Rebbe, there in Upper Eastside. Israel, the Rebbe was always so one with your internal rhythm, your heartbeat, your cries, your hopes and dreams. You can know all the facts, be religious – but there is a certain point of truth and focus in the whole picture that only the leader of our generation was able to unearth. Always the real issue. Always the light. Always the facts. Always the fearlessness. Always the right action. Always the right timing. Always the right words. Israel, I’m going to recommit. With our Rebbe, I will save this relationship. Even if you are so insanely easy to ignore, you are home to me - and this just isn’t right. Although personal determination may be harder to rally, the Rebbe’s voice has never left this world. Starting with my own searching, actions, and reading, I am going to make the Rebbe’s voice more alive in my life. I’m convinced that in any search for truth, there is the Rebbe. So, enough of this complaining, this sulking. Mimi, stop acting like the Rebbe left us behind. Just say it like it is. My Israel, with the Rebbe’s guidance, I will get to your soul. My Israel, I want you back. We’re about to walk through a small crowd of young men. And the conversation is over. I smile inside, and wonder where the conversation might have gone had I not started a “Conversation” posts to my blog. I know this conversation goes on everywhere. I myself have heard it a few times since moving to Crown Heights. The question implies that the way people “recognize” each other is by their outside appearance. This is almost insulting, being that every human has a vast array of distinctiveness that singles them out and makes them recognizable. The question is so ridiculous, it doesn’t really deserve to be entertained. So I guess that’s why the conversation ended so quickly. And there ya go - I blogged about it.